Note: You may register up to 24 hours prior to an online course. Courses are in US Eastern Standard Time. * Take 3 or more courses and save 20% off registration! 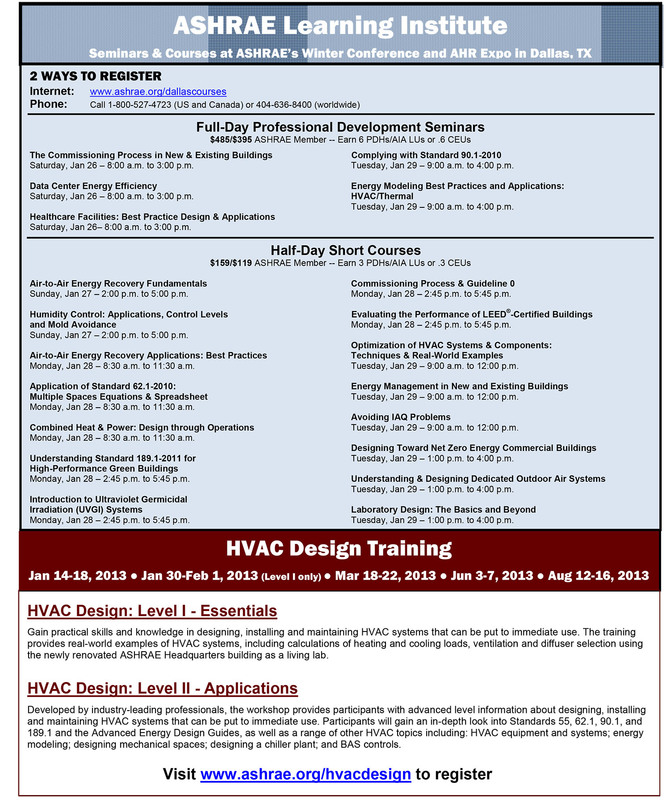 This training provides intensive, practical education for designers and others involved in delivery of HVAC services. Gain practical skills and knowledge in designing, installing and maintaining HVAC systems that can be put to immediate use. The training provides real-world examples of HVAC systems, including calculations of heating and cooling loads, ventilation and diffuser selection using the newly renovated ASHRAE Headquarters building as a living lab. Developed by industry-leading professionals, the training course provides participants with advanced level information about designing, installing and maintaining HVAC systems that can be put to immediate use. Participants will gain an in-depth look into Standards 55, 62.1, 90.1, and 189.1 and the Advanced Energy Design Guides, as well as a range of other HVAC topics including: HVAC equipment and systems; energy modeling; designing mechanical spaces; designing a chiller plant; and BAS controls. A full slate of online courses touching on a range of built environment topics is being offered by ASHRAE this fall. The 11 ASHRAE Learning Institute courses allow participants to learn from anywhere with an Internet connection. Course participants earn continuing education credits and qualify for Professional Development Hours for each course completed. Courses are instructor-led, drawing upon professional knowledge of leading practitioners. Courses begin Sept. 10. 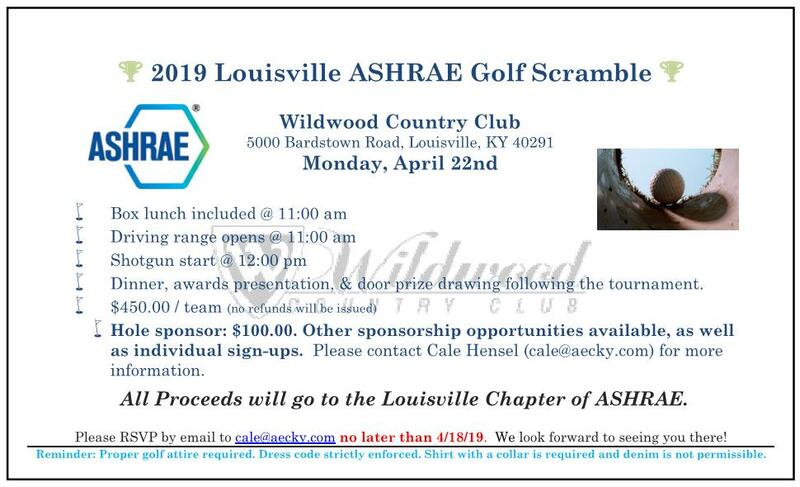 ASHRAE created the HVAC Design: Level I — Essentials workshop to provide intensive, practical training for HVAC designers and others involved in the delivery of HVAC services. Developed by industry-leading professionals, this workshop provides you with the fundamental and technical aspects of HVAC design in commercial buildings. ASHRAE has certified more than 1,000 HVAC professionals.